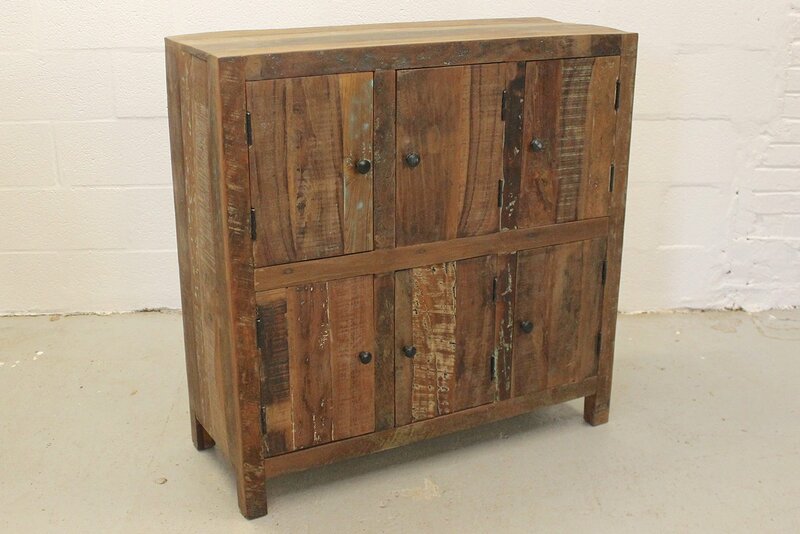 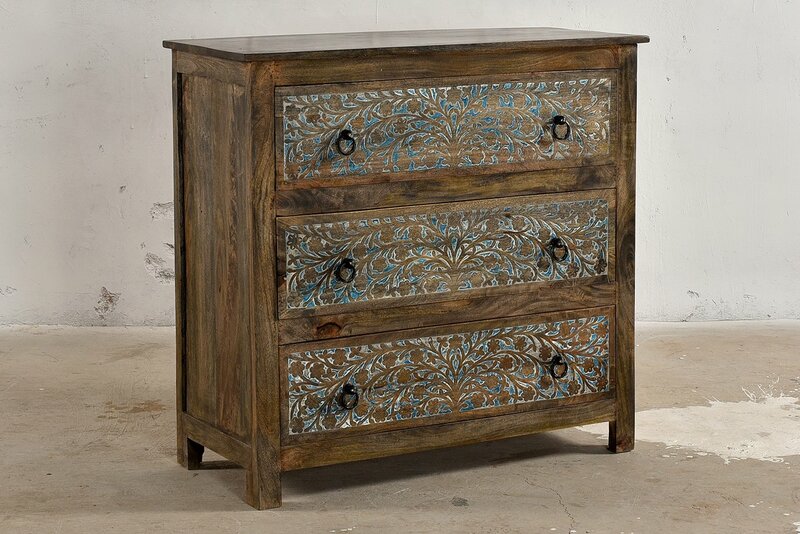 We love the look of this chest of drawers! 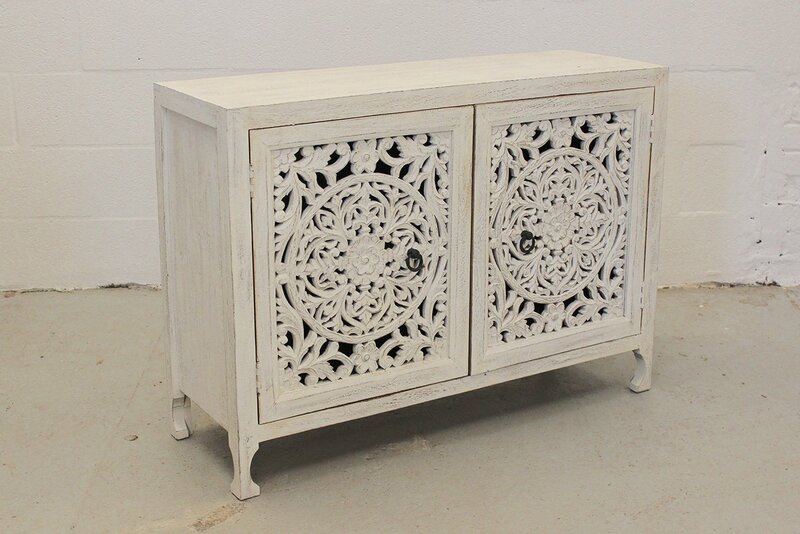 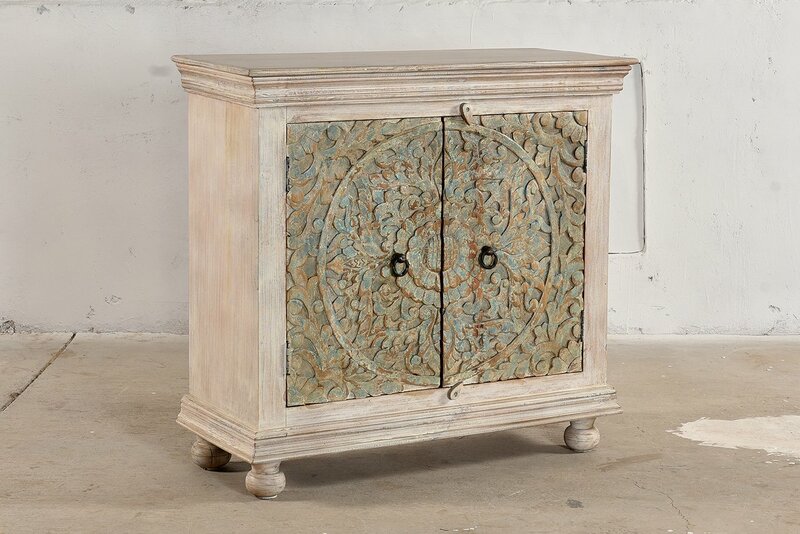 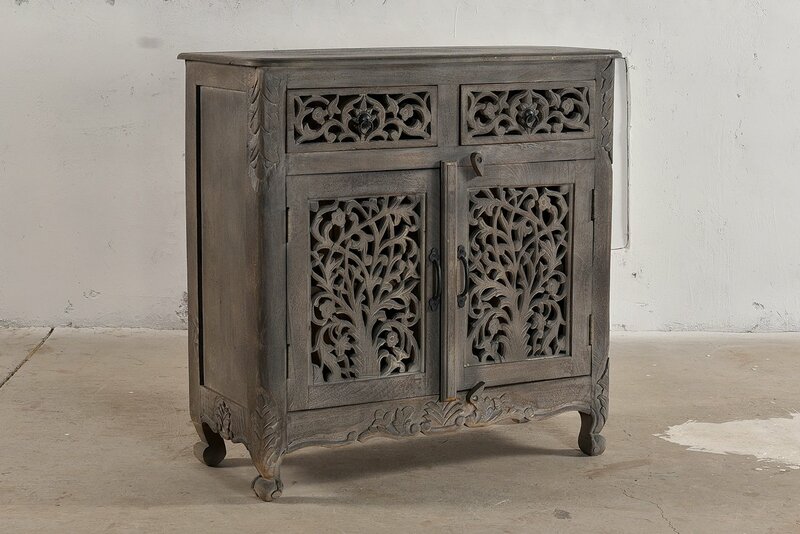 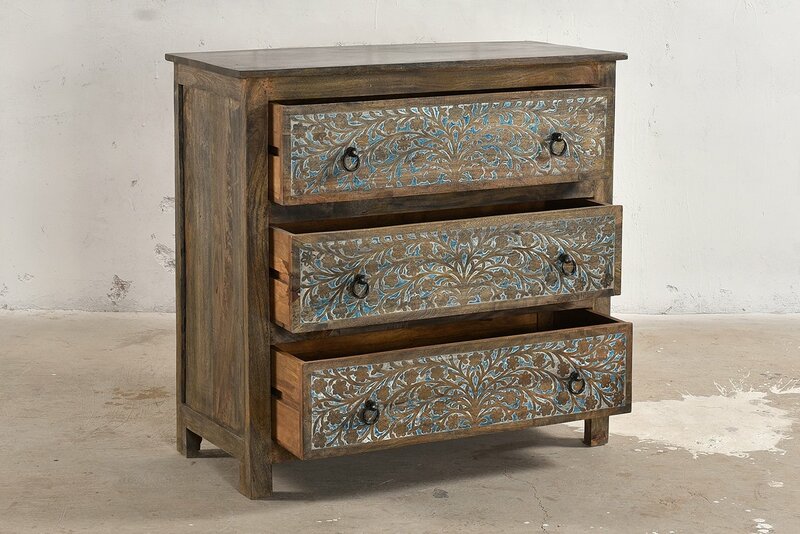 The medium/ dark wood really works to highlight the beautifully hand carved, blue floral design on the drawers. 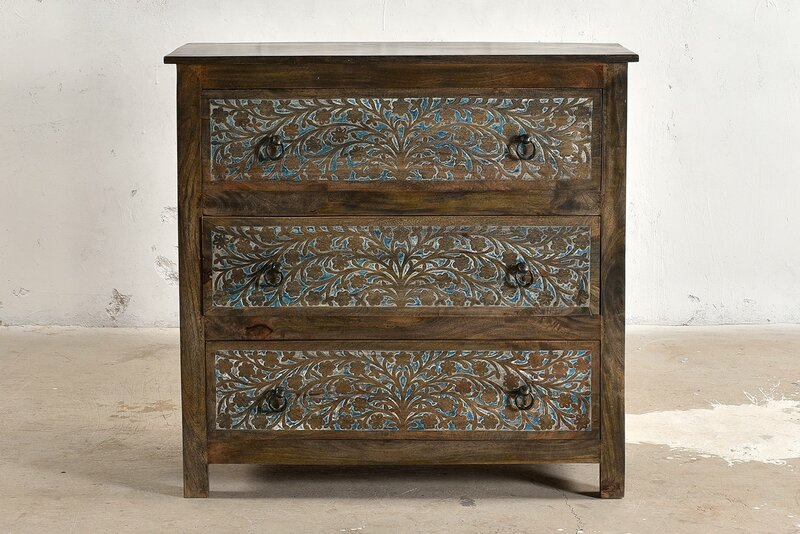 As with all of our pieces, each drawer is made from solid wood. 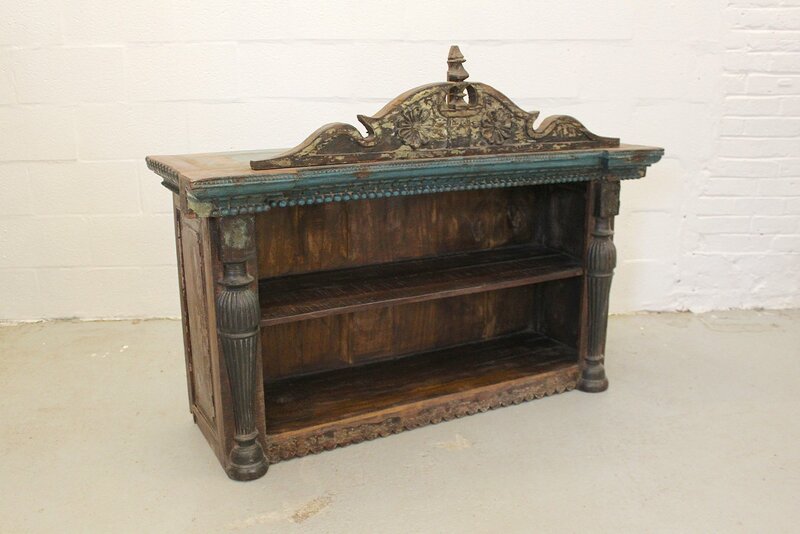 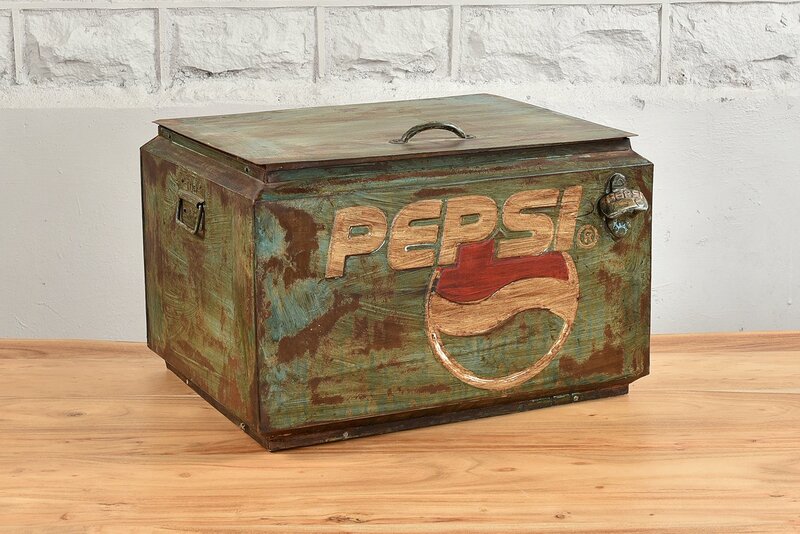 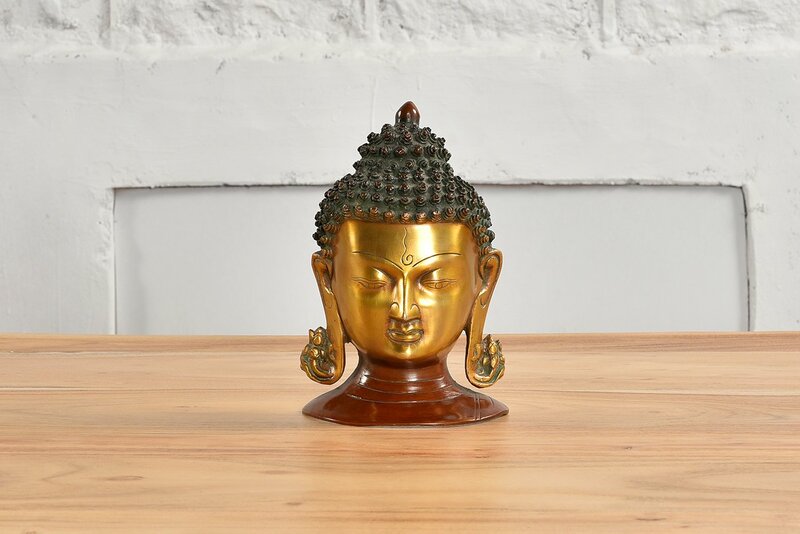 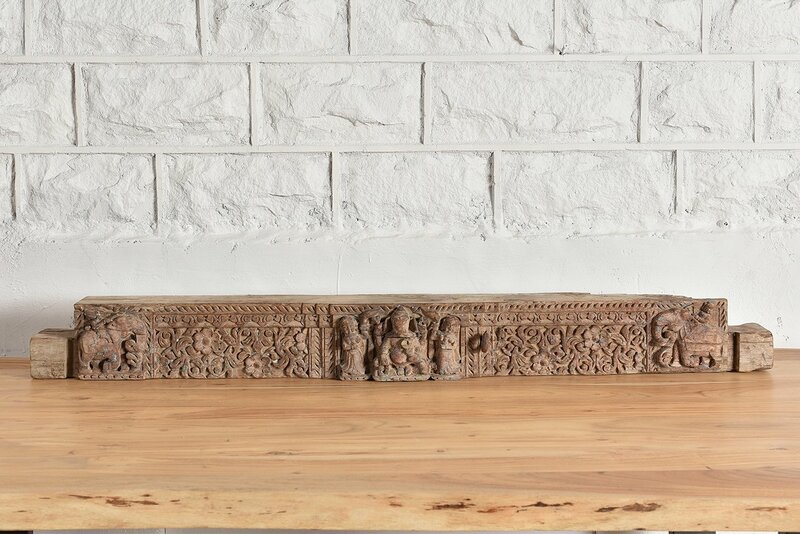 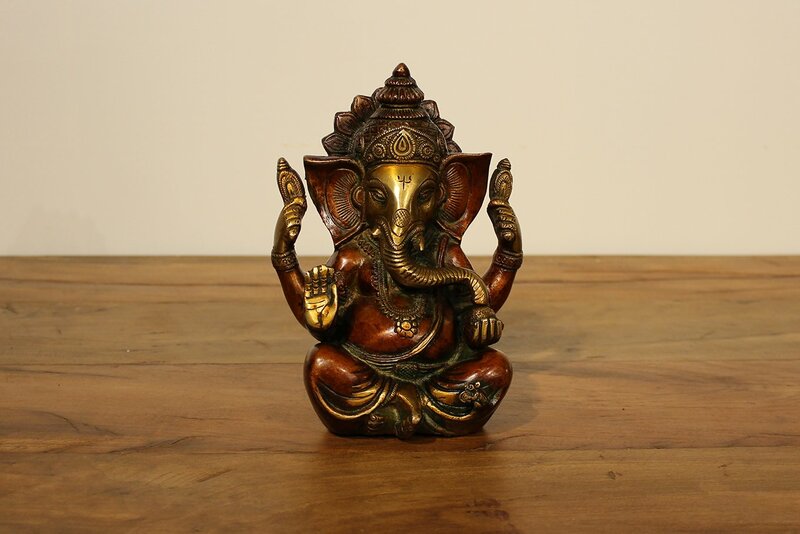 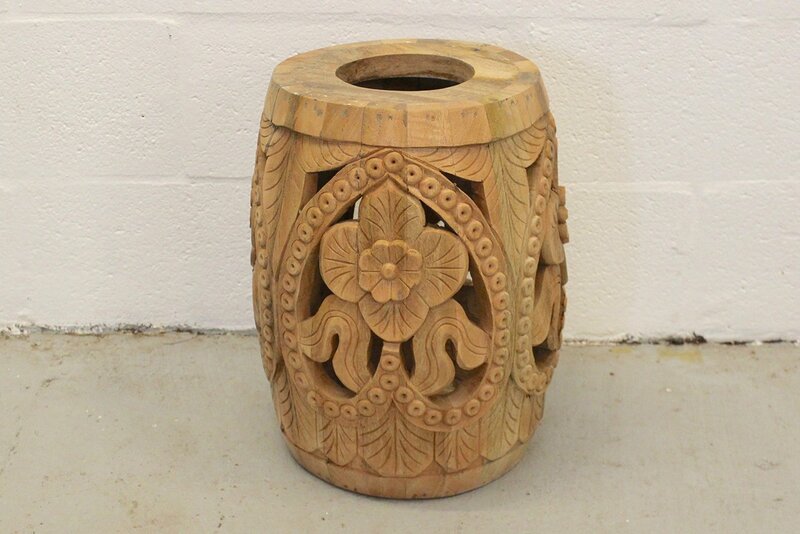 Such is the beauty of this peice, it will look just as stunning in your bedroom as it will in your living areas! 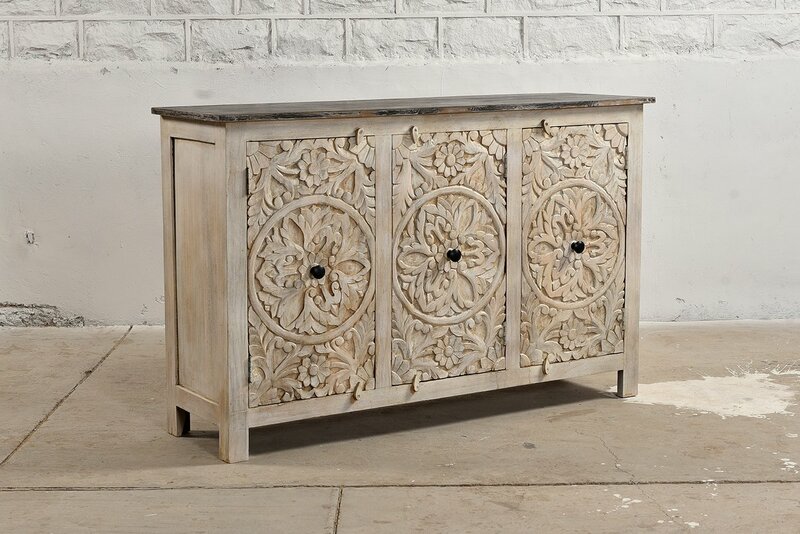 The Vienne range features a distinct floral scheme that brings the joy of a scenic garden right in to your living room. 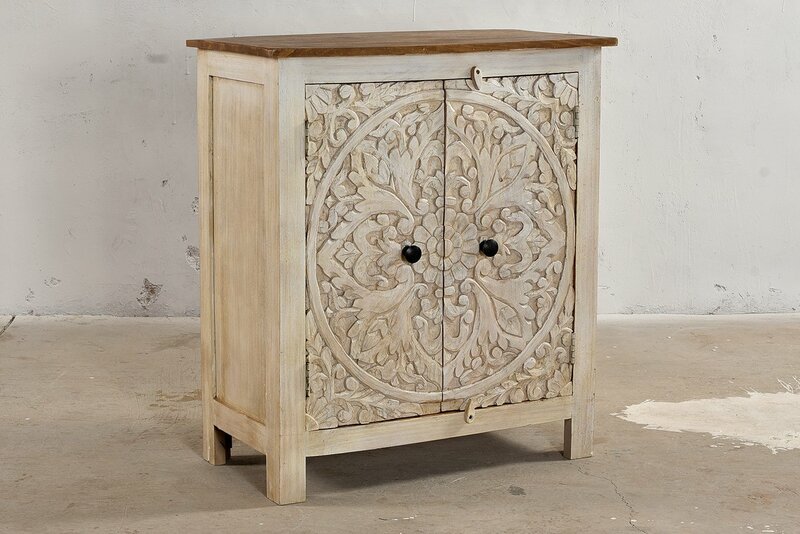 Every piece is hand crafted, so just like a flower, they are all unique and natural!